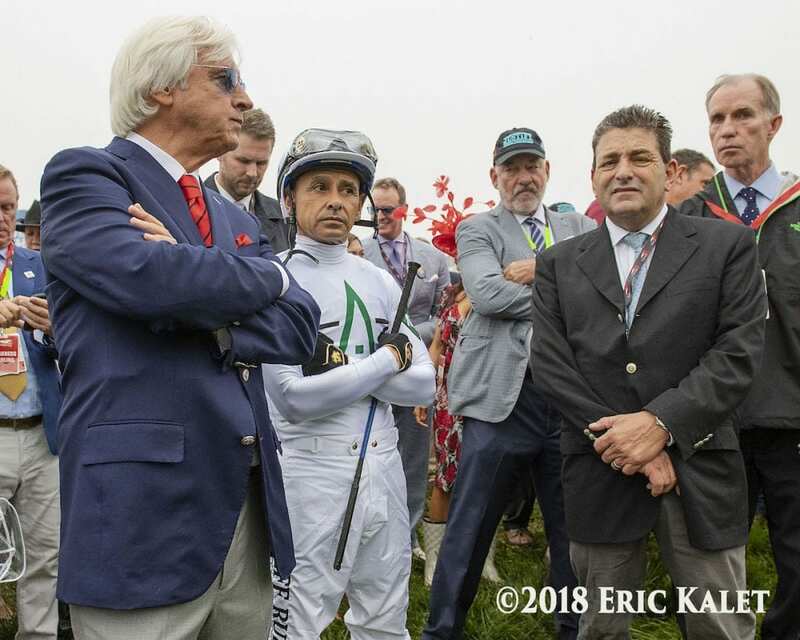 “Big Money” Mike Smith, who has now guided Justify to four out of his five wins, including Saturday's Grade 1 Preakness Stakes at Pimlico in Baltimore, Md., offered up a detailed analysis of his eventful trip in yesterday's 1 3/16 miles classic in a radio interview Sunday morning on “Thoroughbred Los Angeles,” which airs locally on AM 830. Due to the thick fog at Pimlico, the vast majority of Preakness viewers were unable to see the horses when they turned for home. Following the race, Smith had noted that Justify “idled” when wresting the lead from Good Magic. Bravazo, trained by D. Wayne Lukas, closed to be second, beaten a half-length, with Tenfold a neck back in third and Good Magic another neck back in fourth. “If I'd have kept my foot on the gas, he'd have won by farther,” Smith said. “But I had Good Magic beat and I wasn't expecting anyone to come flying the way Lukas's horse (Bravazo) did … I peeked under my shoulder, didn't see anybody and I wanted to get him home safe and sound and not get after him and make him do anymore than he had to do there at the end. This entry was posted in NL List, Triple Crown and tagged 2018 preakness, bravazo, good magic, Justify, mike smith, preakness, tenfold, thoroughbred los angeles by Ed Golden/Santa Anita. Bookmark the permalink.